I always remind my colleagues of one rule that has served me very well through the years: “if it ain't automated or delegated, it ain't right.” Of course, not everything in life can be that way, but all the non-core activities of your business should be judged by this criteria as strictly as possible. That's the only way you'll ever find enough time to actually do your main job and even think about strategies of expanding it. I always remind my colleagues of one rule that has served me very well through the years: “if it ain’t automated or delegated, it ain’t right.” Of course, not everything in life can be that way, but all the non-core activities of your business should be judged by this criteria as strictly as possible. That’s the only way you’ll ever find enough time to actually do your main job and even think about strategies of expanding it. 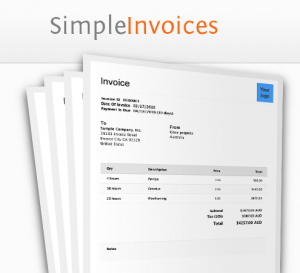 This kickass invoicing application lets you not only create invoices in a simple manner, but also in a very quick manner with their ability to directly import data from your bank transactions. In other words, the app does exactly what it should: let you do the main activity — of carrying out your transactions — and handles everything else. If you can afford it, the $24 monthly package is perfect for any requirement. And if you’re planning on hiring a full-time accountant, you might want to consider their $300 package that comes with a full-time bookkeeper too. Here’s a link to their pricing table. The reason I’ve included this app is because it does a major job that many invoicing apps don’t: help you bill on an hourly basis as well as on a per-project basis and combine those two elements in a common invoice if needed. 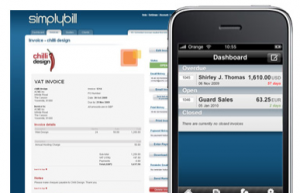 Another important reason is that this app can be accessed even from your iPhone, which means you don’t really have to spend an extra half an hour in your office just because you had to send someone an invoice. You can do it while you travel and use the extra time to spend it with your family or do something more interesting. This application is another serious contender for replacing your existing system of accounting: it can integrate with PayPal and Authorize.net in a way that when clients receive your invoices, they can directly click on the link on the invoices and make payment. 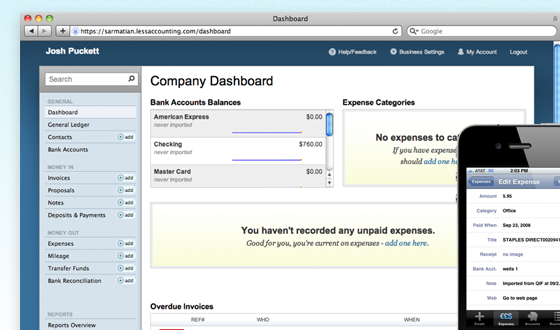 These payments are then automatically added to the application dashboard. 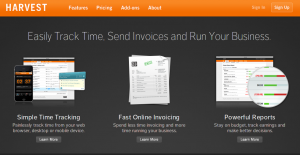 This is so much more than an invoicing application. It’s actually a very neat project management application of sort, which looks like a great tool for virtual companies with employees distributed across geographically diverse locations. The only downside I see for this app is that it’s time tracking widget is not available for Linux, so I wouldn’t use it for that purpose. For those who are on Windows or Mac – and have an iPhone or an Android-based phone – this app is probably a must have. Their pricing is beyond reasonable, and their time-tracking system with its ability to give you graphical reports on your employees’ performances and a seamless invoicing support makes it a complete solution. Can you imagine having all this in one neat application that sits on your own webserver or gets installed on your Windows PC? 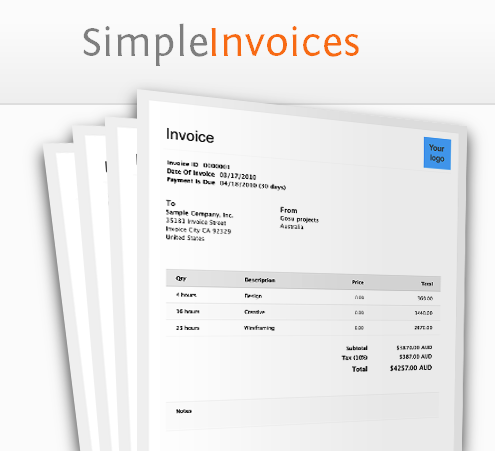 And just because it’s free doesn’t mean that the invoices would look ugly. Try their demo and see for yourself. There are many other invoicing solutions available, please share your favorite in the comments. @Karen: No thanks required, I found Harvest worth mentioning. Of course, I would love it even more if it were available for Linux too ;), but it looks like a great app anyway. Good luck! Hi Kushal, I am a big fan of Fanurio http://www.fanuriotimetracking.com . It helps with the less appealing aspects of freelancing like invoicing and keeping track of time. It’s a useful application, with a user-friendly interface. This is a cool collection of apps! Thanks for the list. They will be helpful.